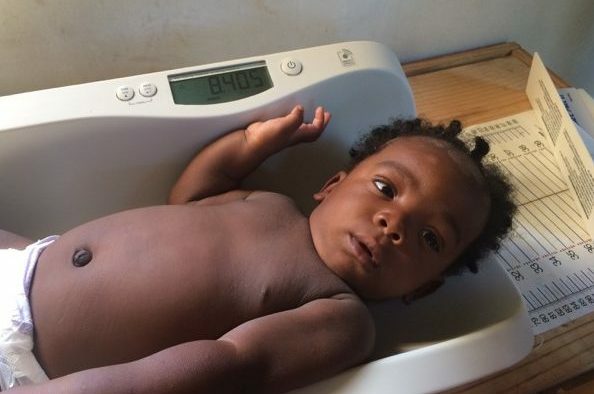 Malnutrition, a preventable and curable disease, affects one in five children in Haiti. Whether it is moderate or severe, this condition makes children more susceptible to infections and prevents normal growth and mental development. 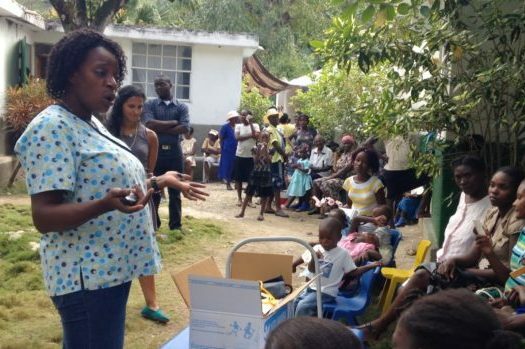 Hands Up for Haiti is working with the global community to eradicate childhood malnutrition. Using a ”treat, teach, and grow” approach, we are taking aim at this deadly disease. HUFH runs active malnutrition programs at four sites. Our Haitian physicians and nurses identify children who are moderately or severely malnourished and follow these children weekly, providing them with daily supplements of a high calorie peanut based supplement called Medika Mamba, supplied by our in-country partner, Medicine & Food for Kids. Severely ill children are admitted to the hospital until they are well enough to be enrolled in our program. 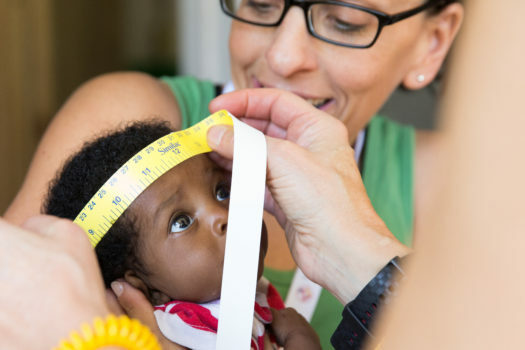 Our program treats 600 severely malnourished children each year, but the need is much greater. Even as the children of one community grow healthier as the program succeeds, outreach is identifying more and more malnourished children from other remote communities that suffer from severe food shortages. We hope to continue to expand the number of sites, the number of children we treat, and the number of families we educate about nutrition. Families are critical partners in HUFH’s efforts to fight malnutrition. We educate families about appropriate nutrition and teach them how to prepare healthy food with clean water. This education spreads through the community, touching many more lives. Ensuring that our Haitian medical staff have both the training and adequate equipment for our programs is a critical part of what we do. Our malnutrition program requires our Haitian staff to have a full understanding of both the causes and treatment of moderate and severe malnutrition. In addition, they must have accurate measurement tools to do the weekly assessments for all the children in the program. Working closely with Medicine & Food for Kids, training sessions are held regularly with our staff to review protocols and current guidelines. And with help from partners such as SECA, we are working to make certain that each malnutrition center has working accurate scales and height measurement tools. To ensure that each child is progressing properly, our medical director reviews all the children regularly.